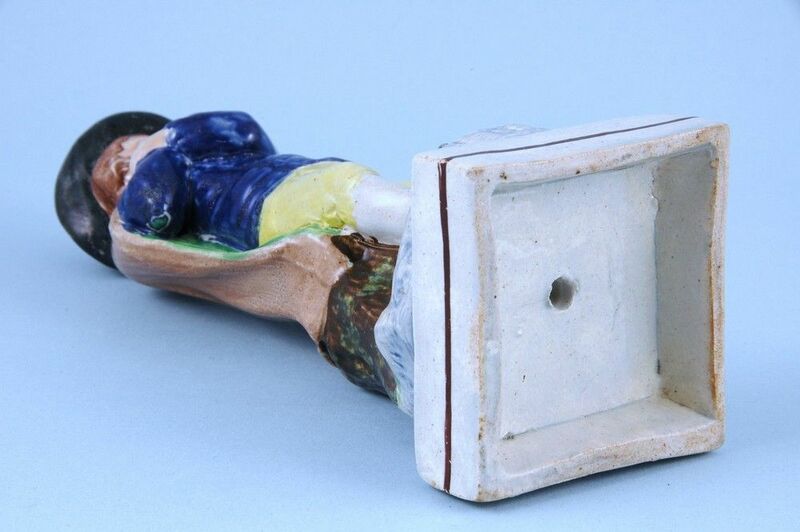 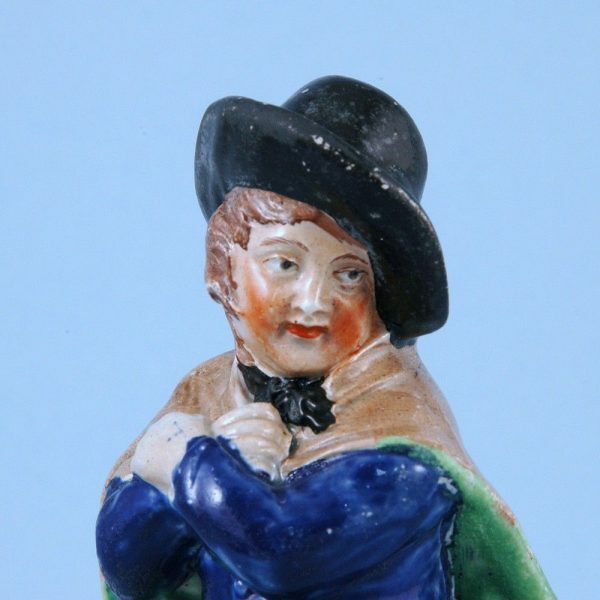 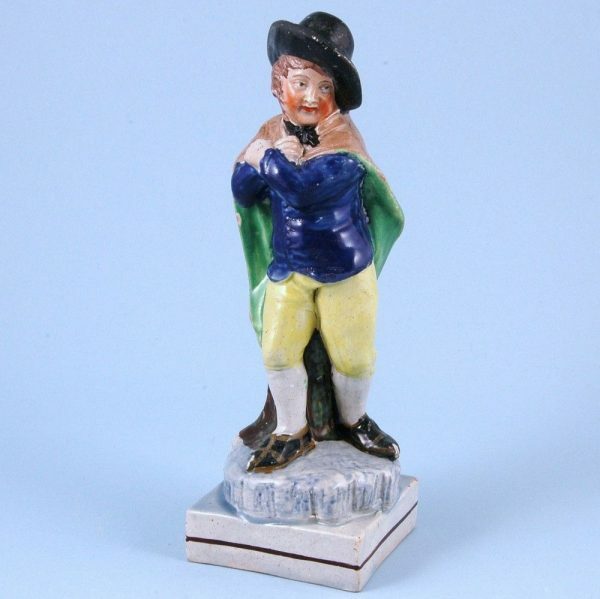 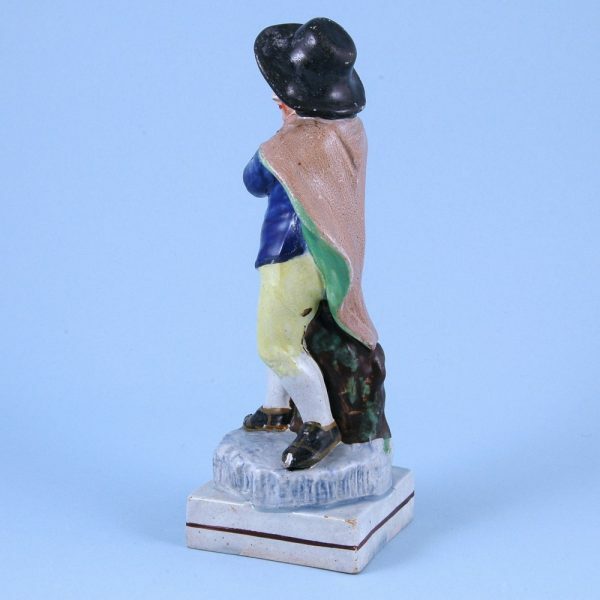 A nicely coloured early 19th century Staffordshire pottery, square based figure of a boy wearing a thick cloak and ice skates, emblematic of winter from a set of the four seasons. 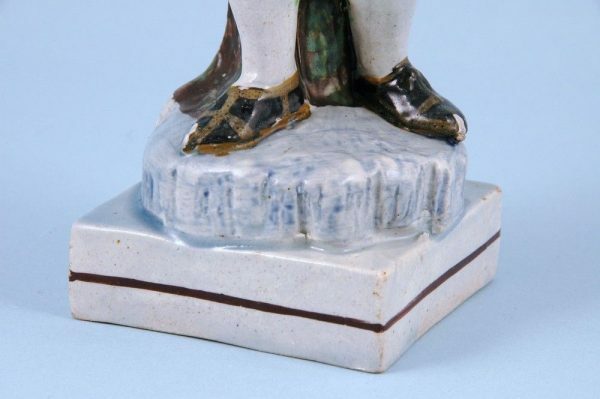 Condition: Good, just a tiny chip to the tip of one ice skate, slight wear. No restoration.